Two interdisciplinary basic research projects in the fields of biomechanics and materials sciences will be funded to the amount of 3.5 million euros from TU Graz funds for three years from 2018. 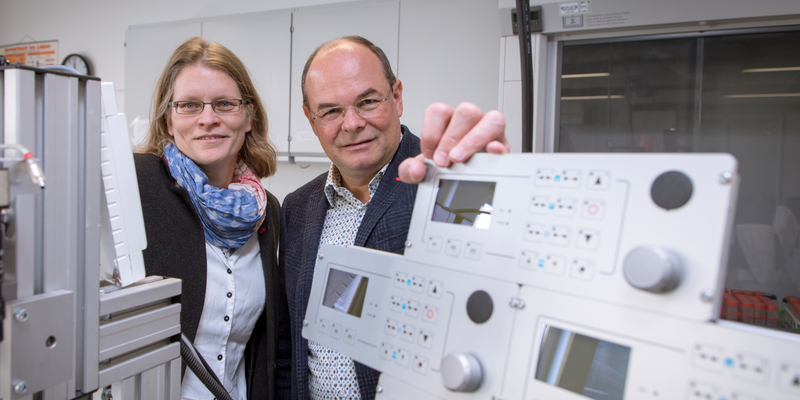 In this lead project, a cross-faculty consortium of researchers from TU Graz, led by Gerhard A. Holzapfel, head of the Institute of Biomechanics, and Katrin Ellermann, head of the Institute of Mechanics, are applying themselves to the further development of computer simulation of aortic dissections. Aortic dissection (AD) is the name given to a separation of layers in the aortic wall – a potentially life-threatening condition. The aim of this lead project is to develop comprehensive simulation models and algorithms to support and point the way towards diagnosis and treatment of AD. Gerhard A. Holzapfel, head of the lead project explains: “By integrating TU Graz researchers from different disciplines – from fluid mechanics and mechanics of materials to statistics – we will go a completely new path in the comprehensive consideration of this clinical phenomenon, and as a result we expect new findings on diagnosis and treatment.” In several simulation and modelling packages the consortium is devoting its attentions to the so-called Stanford B aortic dissection, a chronic form of AD. Here, a tear develops in the descending aorta and a thrombus can also form subsequently. In the course of the lead project, researchers will develop a multi-scale simulation model on the basis of non-invasive medical imaging techniques which will take into account both the structure and composition of the damaged aortic wall as well as the flow behaviour of the blood, the formation and growth of the thrombus, and individual patient parameters. Gerhard A. Holzapfel describes the challenges: “What we have here is a clinical phenomenon which presents us with great engineering challenges, since most of the models and numerical algorithms which we need for the simulation we first have to develop.” The simulation models will subsequently be visualised using virtual-reality technology. The consortium works together with well-known national and international partners, among which is the Graz Center of Computational Engineering (GCCE) at TU Graz, which carries out basic research in the area of computer-aided simulation. The lead project will start work in January 2018. In a second lead project, a multidisciplinary consortium consisting of 14 TU Graz researchers from the areas of physics, chemistry, materials sciences, electronics and biotechnology is working on improving the fundamental understanding and developing new applications of porous materials. This lead project will be led by Paolo Falcaro, deputy head of the Institute of Physical and Theoretical Chemistry, together with Christian Slugovc, Institute for Chemistry and Technology of Materials and Egbert Zojer, Institute of Solid State Physics. Due to their versatility, porous materials count among the most promising materials and even today are crucial in sensor technology, microelectronics, energy storage and the production of pharmaceuticals as well as many other areas of application. The declared aim of the lead project is to combine the diverse and multidisciplinary expertise at TU Graz in the field of porous materials; by interweaving different perspectives innovative findings and a comprehensive understanding of porous materials will be achieved. Paolo Falcaro, head of the lead project: “New findings in basic research will ultimately enable us to optimise porous materials so that improved and even completely new applications will be possible. Together with our strong partners in industry, we want to open up unknown dimensions and place TU Graz in the European top league in research into porous materials.” From July 2018, the Graz group of researchers will devote themselves to the lead project “Porous Materials @ Work”, which has been scheduled to run for three years. It will explore the potentials of porous materials in particular in sensor technology and biotechnology, with the aim of designing new porous materials, obtaining fundamental insights into their properties, and developing new manufacturing techniques for the exploitation of porous solids. In this years call, four projects from multidisciplinary research groups were submitted altogether. The selection of lead projects takes place in a two stage process. In a first step, the most promising projects for which a preliminary application has already been submitted is selected by the Rectorate, and after this the consortium invited to submit a full application. International experts appraise the projects, which are then presented by the consortia to an external international jury in the framework of a hearing. Funds are available for a maximum period of three years. Repeat funding for a lead project is available for a further maximum period of three years only after a favourable evaluation. Further calls for lead-project tenders are planned.